Arriving at Pacithea Villas will encourage you to navigate the beautiful Mount Pelion and experience up close some of the famous villages in the area. The famous Milies is one of the most picturesque villages of the mountain of the Centaurs, the starting point for the train of Pelion, which reaches through a fantastic journey to Ano Lechonia. The famous School of Milies, which was the center of the 1821 liberation struggle and spiritual home of the time, gave this old village a long and remarkable history. From the central square – a meeting place for locals and visitors – start the cobblestone paths that lead to the small neighborhoods of the settlement. The big trees of the square create a pleasant environment with the shadow that give to those who choose to enjoy there coffee and their food, while major historical buildings are located all around, like the pretty shops that give visitors the opportunity to learn a lot about history, tradition and everyday life of the area. 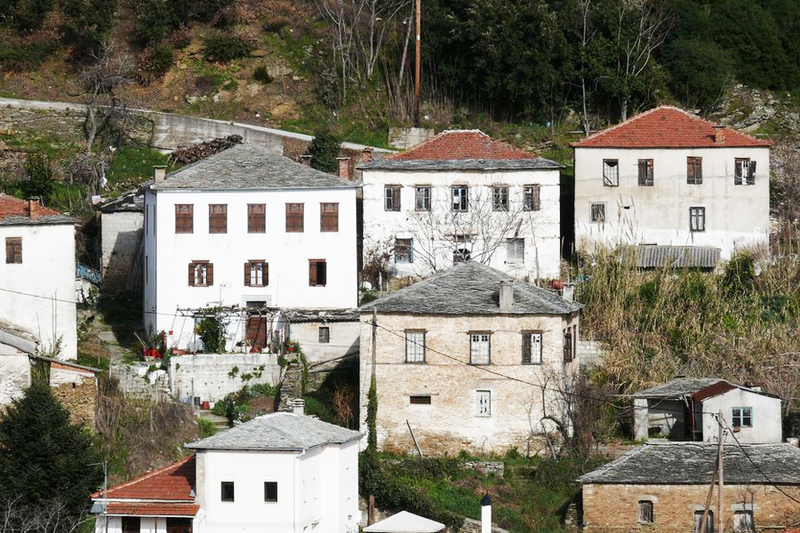 Characteristic to the village is the authentic Pelion architecture with towers and mansions, many of which have a long history, such as the Library, the Folklore Museum, Evdoxeio Cultural Center and the Church of the Archangels. 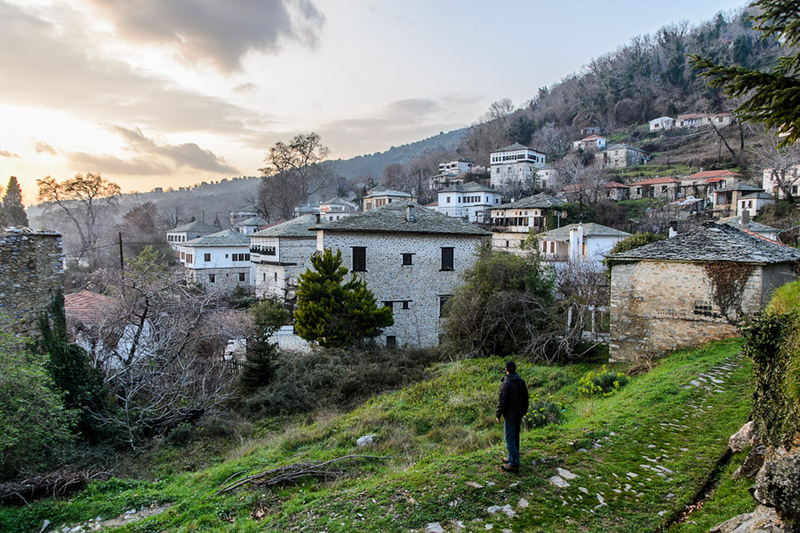 One of the most famous traditional villages of Pelion, Vizitsa is a conservation village which has all the elements that compose the genuine Pelion landscape. The restored mansions, traditional Pelion houses, stone fountains and lush vegetation make a setting for your visit throughout the year. The central stone path leads to the large square with the tall trees, where the breathtaking covered fountain is located. Beautiful trails starting from the village lead to neighboring villages and beaches. One of them leads to the Milies train station, crossing a beautiful natural landscape. 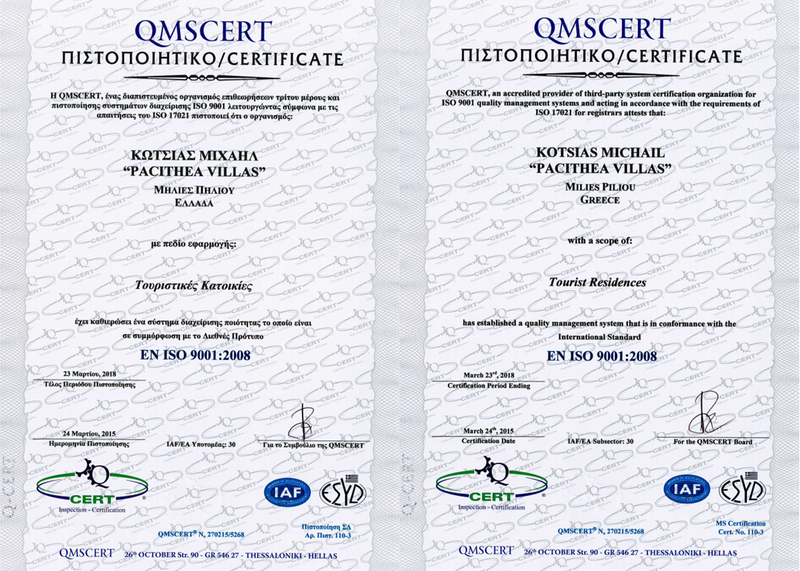 Pinakates is another beautiful and picturesque village of Pelion. 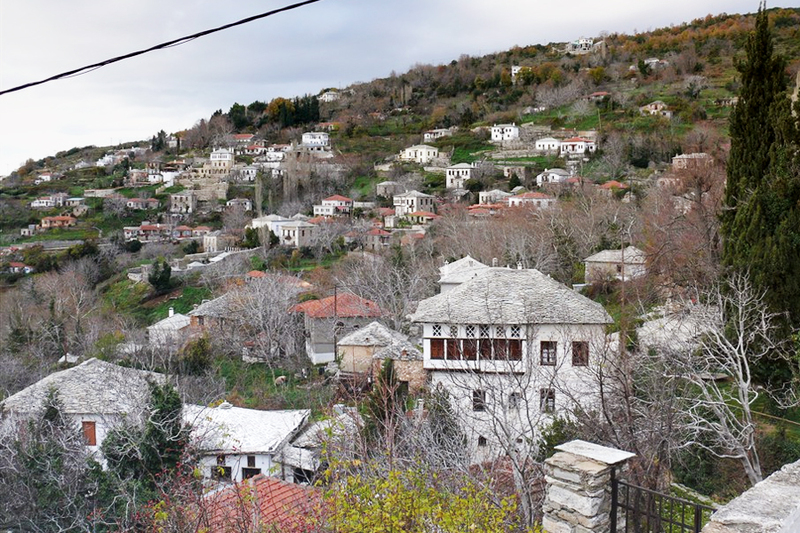 The village is also preserved by the Presidential Decree of 1979, with stone houses and a large square, the Basilica of St. Demetrios and the marble neoclassical lion-head fountain, donated by Greek-Egyptians expatriates. 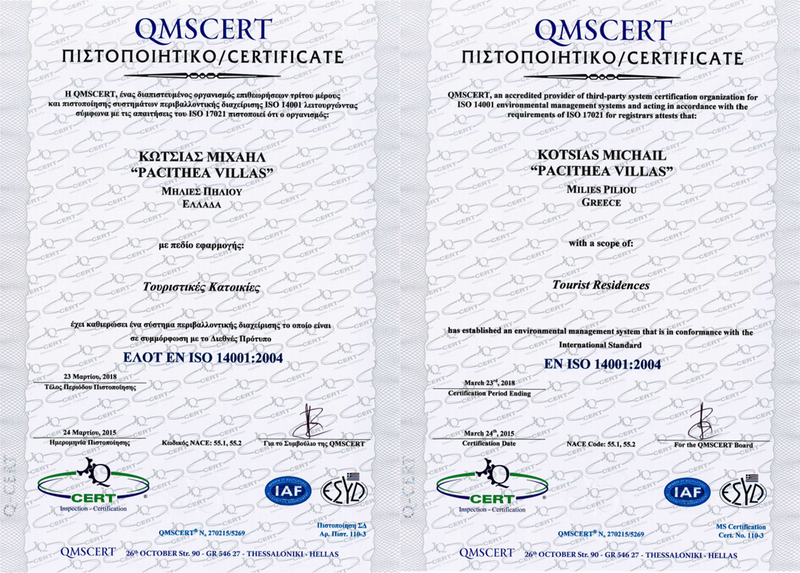 A true retreat for those who want to relax, away from crowded places and enjoy the serenity of Pelion landscape all year round. Agios Georgios Nilias is built at an altitude of 650m., In a green part of the mountain, with its houses spread out amphitheatrically around the slope, allowing an unobstructed view of Pagasitikos. Nature here makes its presence felt in the dense vegetation of plane trees, chestnut trees, cherry trees and two streams that surround the village. 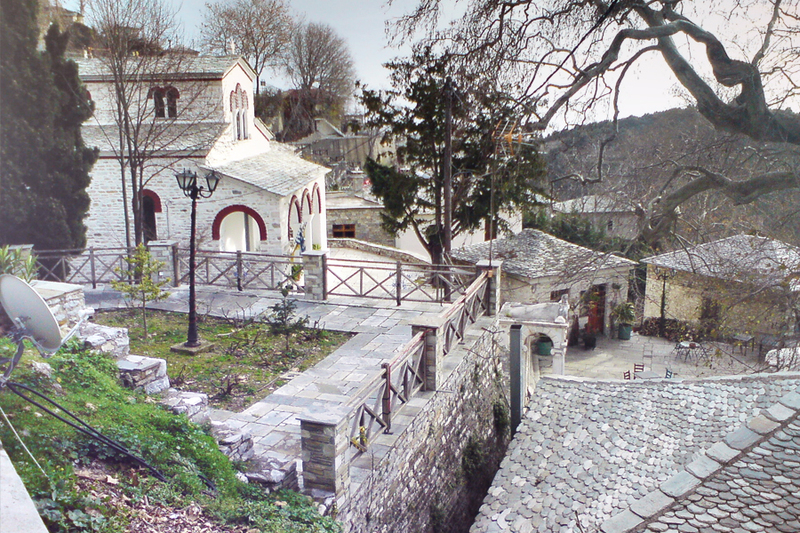 During a visit to this beautiful village one can admire the wonderful streets, its picturesque square and the imposing mansions, taps and religious and cultural monuments, like the church of Agios Georgios. The Afetes or Niaou as it was once called is a quiet village built among olive groves with a wonderful view to Afissos and Pagasitikos. The large paved square with huge plane trees is ideal for food in both taverns available in the village. At the other end of the square is a remarkable church of Ai-Yiannis built by the famous master Epirus, Municipality Zapanioti. At the entrance of the village begins the path that passes over the old arched bridge and leads through a beautiful route, the famous sandy beach of Ampovos in Afisso.